In years past, Computex has been an event dominated by ASUS. 2018 was no different. Across both their Zenbook and ROG portfolios, ASUS had a lot of product to show off. Here's a quick round-up of what they brought to the tradeshow. The latest version of ASUS’ flagship notebook, the Zenbook Pro. 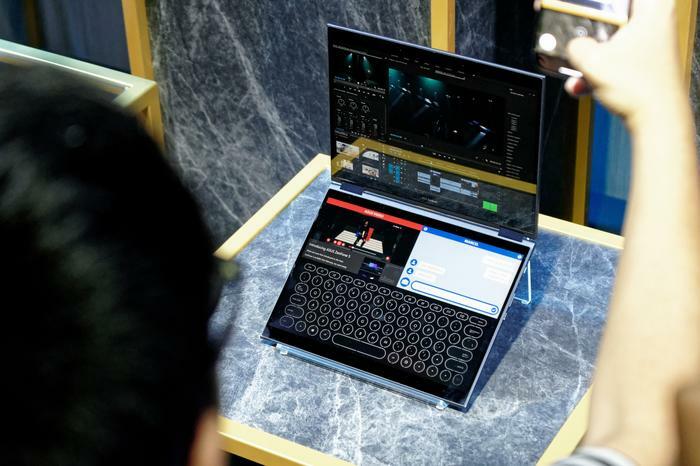 The 15.6-inch version of the device features a 4K UHD touchscreen (with 100% Adobe RGB), an 8th-Gen i9 Intel Core processor, Nvidia GeForce GTX 1050 Ti, up to 16GB of RAM, up to 1TB SSD storage and a fingerprint sensor. The 14-inch version of the device features a FHD touchscreen, an 8th-Gen i7 Intel Core processor, Nvidia GeForce GTX 1050 (Max Q), up to 16GB of RAM, up to 1TB SSD storage and an IR camera. It also features an ergolift hinge similar to that found in the ROG Zephyrus gaming notebooks. Both variants of the Zenbook Pro 15 swap out a traditional touchpad for a 5.5-inch FHD IPS touchscreen called the SmartPad.As a baseline, the SmartPad can act as a secondary screen that can be used extends the display space. Beyond that, it also supports several apps via a launcher. You can use it to control media playback or access your calendar. How much is it and will it be coming to Australia? Locally, the ZenBook Pro 15 starts at $2999 for the i7-8750H/16GB/512SATA/GTX1050 configuration. No word yet on exact pricing or availability for the 14-inch model, but it is expected to arrive later in the year. A health tracker that's capable of tracking blood pressure, activity data, heart-rate data, sleep data and "de-stress index" data. The VivoWatch BP is the world’s first fitness band that’s capable of tracking a users’ blood pressure. 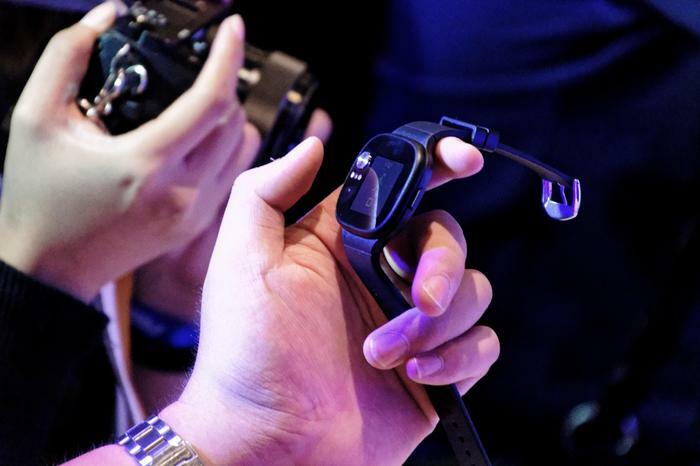 ASUS say that they worked with cardiologists to develop a dual-sensor system that relies on both electrocardiographic and photoplethysmogram sensors to deliver an accurate blood pressure measurement in 15 seconds. No word on pricing and availability for this one. However, ASUS’ past track-record for bringing their wearable products to Australia isn’t great. Stay tuned. 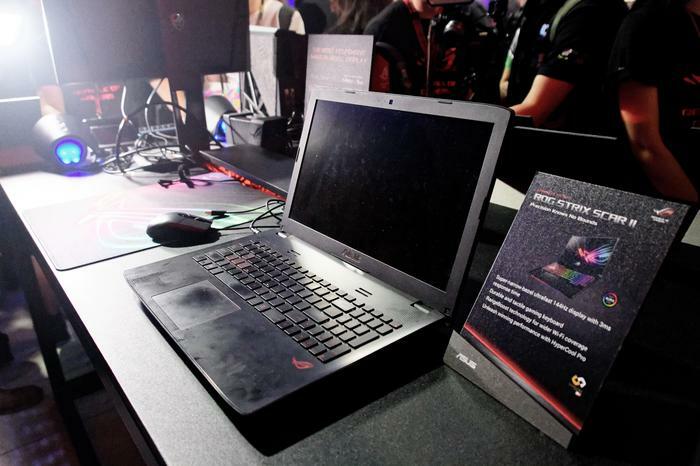 Refreshed versions of the Strix Hero and Strix Scar specialized gaming notebooks the company released last year. In terms of overall form-factor and aesthetics, this year’s Scar and Hero notebooks strike a very similar chord to their predecessors. That said, they do come a little leaner and meaner in the areas where it counts. 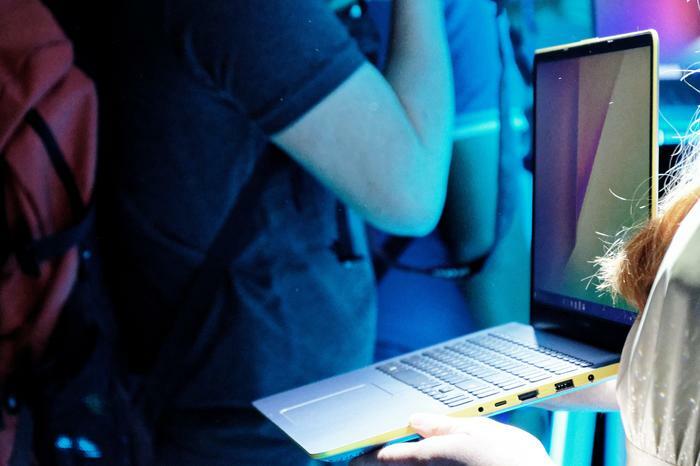 In line with current trends, the two gaming notebooks are rocking 15.6-inch displays with super narrow bezels that are 2.33cm thinner than that found in last year’s models. Better yet, both the new Scar and Hero feature 144hz refresh rate and 3ms response time - a combination which ASUS claim is a world-first. There’s also little more RGB in the mix this time around - courtesy of a new AuraSync-enabled lighting bar at the bottom edge of the keyboard. Both feature 8th-Gen Coffee Lake Intel Core processors, up to Nvidia GeForce GTX 1070 graphics, up to 32GB of dual-channel SDRAM, up to 512 in SSD storage and up to 1TB of FireCuda hybrid SSHD storage. How much will they cost and will they be coming to Australia? Locally, the ROG Strix SCAR II and ROG Strix Hero II will be available from the beginning of July 2018 in Australia from the ASUS Shop, Harvey Norman and select channel partners starting at $2,699 AUD. A new gaming headset that promises to offer both fully-fledged RGB customizability and top-notch audio fidelity. 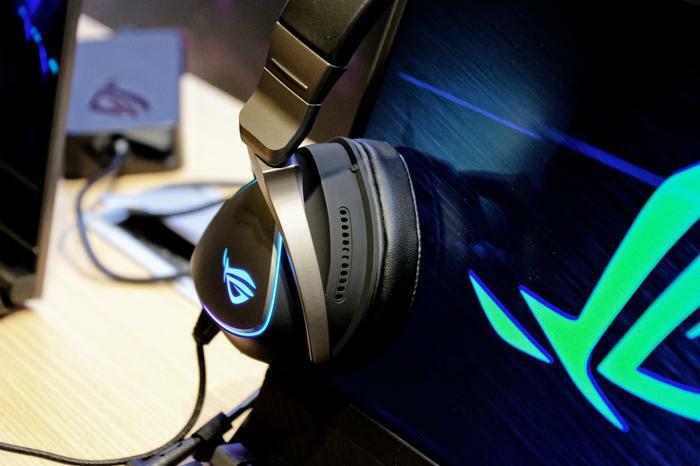 The ROG Delta comes with a Hi-Res ESS 9218 Quad-DAC and full RGB lighting integration along the headset's nifty-looking triangular ear cups. Local pricing and availability for the ROG Delta has yet to be confirmed. 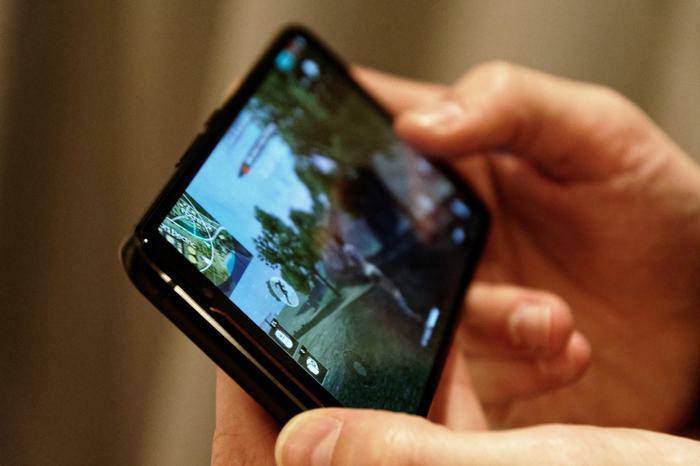 Basically, if you’re heavy into gaming on your smartphone, ROG have built a handset designed to tackle your pain-points here. The device features a FHD+ HDR AMOLED display with a 90Hz refresh rate and 1ms response time. It boasts 8GB of RAM, up to 512GB of on-board storage, a 4000mAh battery and runs on a speed-binned version of Qualcomm’s Snapdragon 845 processor that runs a clock speed of 2.9Ghz. The device also features a set of ‘air trigger’ ultrasonic sensors that ASUS say allow the shoulders of the device to act as extra buttons. What’s more, these are programmable - which means you’ll be able to (theoretically) use it with any game that supports remapping the controls. ASUS also say the device features advanced haptics that ‘let you feel the action’. There’s even a second USB Type-C port and headphone jack on the side the AeroActive cooling case the device comes bundled with, allowing you to easily charge it while using it in landscape mode. Unfortunately, when asked, ASUS representatives were a little cagey about whether or not the phone would come to the Australian market and, if it did, how much it might cost. Given how much it costs to actually get a device certified for the local market, we aren’t expecting this one to show up on JB Hi-Fi shelves anytime soon. However, as with last year’s Razer smartphone, it’ll likely prove popular amongst importers willing to pay extra for the very specific feature set provided here. A colorful refresh of ASUS' more-affordable Zenbook notebooks. The VivoBook S15, VivoBook S14 and VivoBook S13 are all powered by up to the latest 8th Gen Intel Core i7 processors with up to NVIDIA GeForce MX150 discrete graphics and both notebooks feature dual-storage designs, with the VivoBook S15 boasting a 512GB SSD and 2TB HDD. The new S13, S14 and S15 VivoBooks feature a similar ergo-lift design to that found in the company's ROG Zephyrus gaming laptops and come in a variety of spec variants and five brightly-coded colors.Firmament Green, Star Grey, Silver Blue, Gun Metal and Icicle Gold. The new ASUS VivoBook S15 and VivoBook S14 will be available from July 2018 in Australia from the ASUS Shop and select retail and channel partners starting at $999 AUD. A 13.3-inch 1kg-light 2-in-1 laptop that features ASUS' ErgoLift hinge and ultra-slim bezels. 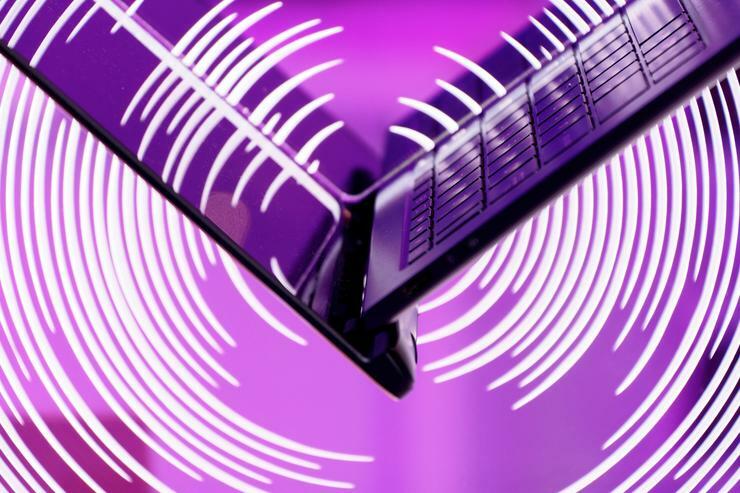 Unlike Project Precog, the 2018 Zenbook S isn't really interested in reinventing what a laptop looks like. Like previous Zenbook S machines, it's all about offering up peak portability without compromising on performance. To that end, ASUS have kitted this one out with up to the latest 8th Gen Intel Core i7 processor, up to 16GB of fast LPDDR3 RAM and up to a 1TB M.2 SSD. It'll also arrive with built-in Amazon Alexa integration. 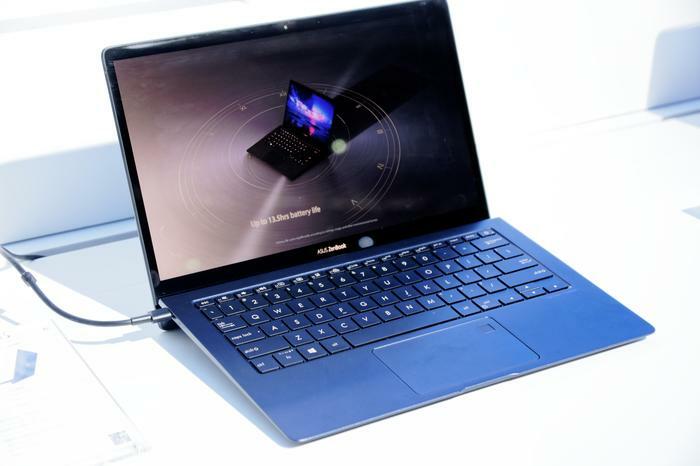 When we reviewed last year's Zenbook S, we called it "convertible that delivers pretty darn close to the high-level of performance and form-factor it promises - even if the inferior battery life does hold it back from being a total slam dunk." the ASUS Shop, Harvey Norman and select channel partners starting at $2,199 AUD. The ASUS ZenBook S UX391 in Burgundy Red will be available from Q3 2018 in Australia. According to ASUS, Project Precog is the first convertible dual-screen laptop with fully enhanced AI features. The pitch here is that while other notebooks might have AI components in them, Precog is the notebook designed from the ground up to embrace the wider potential of AI as it reveals itself in the coming years. Like the moniker might suggest, it looks like something out of a science fiction film. Essentially, it's a 2-in-1 that relies on a dual-screen setup rather than any sort of physical keyboard. Like a traditional convertible, Project Precog can be setup in notebook mode, tent mode, book mode or flat mode. 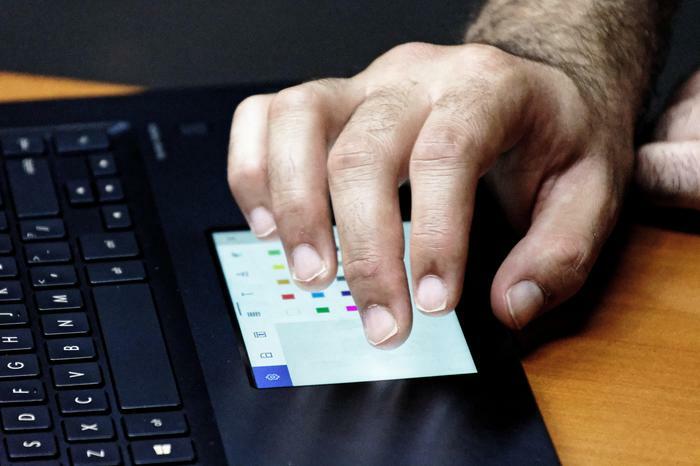 ASUS say that a new AI-driven feature called Intelligent Touch will make up the difference here when it comes to typing on a virtual keyboard. According to them, "Intelligent Touch automatically reconizes the input device you’re using and changes the virtual interface accordingly. It can automatically adjust the keyboard location depending on where you place your fingertips, or automatically switch to stylus mode when a stylus touches the lower screen." For better or worse, Project Precog only exists a concept product. At least, for now. ASUS say that a market-ready version of the idea will be coming sometime in 2018 - so stay tuned.